The MX-5 Merlot was a special edition available in the UK in latter half of 1996. 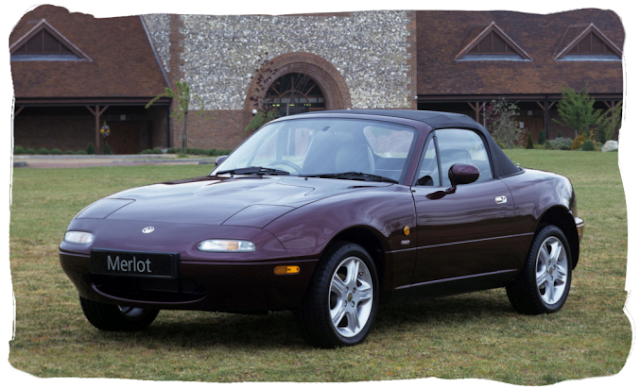 Based on the standard 1.8i the car came finished in a unique mica paint colour called Vin Rouge. 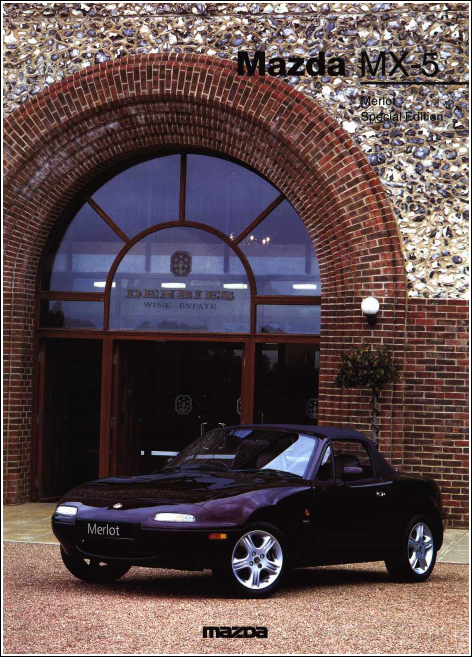 This deep red shade was also used on the Eunos Roadster VR (Vin Rouge) Limited model. The name comes from a variety of grape used in wine production resulting in a similar colour. 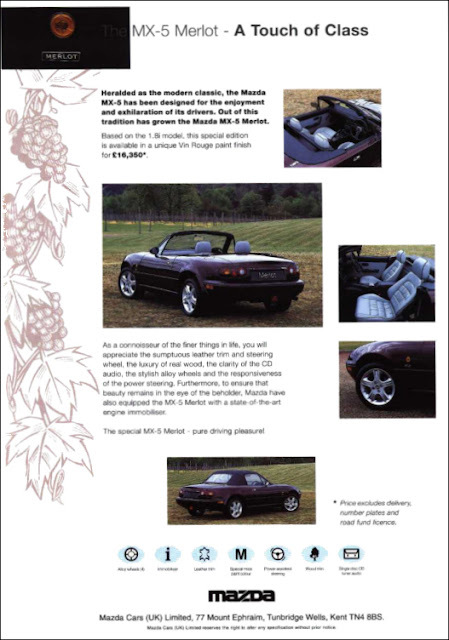 The wine theme continued in the brochure artwork at the time. As well as its special colour, the Merlot also had unique 15" five spoke alloy wheels, grey ruched leather seats and door panels with burgundy piping details, wood effect dash trim, wooden gearknob and handbrake, Merlot badges, rear mud guards, immobiliser and single CD stereo. The first 400 cars also had a leather trimmed steering wheel. Prices started at £16,350 with 600 available.